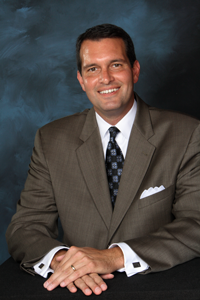 A native of Detroit, Michigan, Jim Klote is the President & CEO of Ward, Dreshman & Reinhardt, Inc. This international firm helps non-profit organizations realize their fundraising goals. The firm specializes in Capital Campaigns for building projects throughout the United States and Canada. After graduating with a dual major in Political Science and Sociology from Capital University located in Columbus, Ohio, Jim began his fundraising career with the United Way. Jim served the United Way in both Detroit, Michigan and Columbus, Ohio. Recruited by the most established fundraising firm in the country, Jim left the United Way to become the youngest director hired by Ward, Dreshman, and Reinhardt in their 100-year history. From 1987 until 1995, Jim served clients across the United States as a full-time resident director of fundraising projects. At the Ward, Dreshman & Reinhardt annual board meeting in 1995, Jim was unanimously elected as the seventh President of the firm. In addition, to being the youngest, he is the only member of the firm elected as President without first serving as Vice-President. In 1999, Jim and the WD&R Board of Directors created James D. Klote & Associates, Inc. The primary focus on the new firm was provide fundraising consulting services to churches and church related institutions. Now in its 14thyear, JDK&A was ranked the #1 Stewardship Consulting firm in the United States. Jim is the author of, Stewardship: The Proven Path. He is an invited speaker across the country at non-profit foundation meetings, and serves on a number of national boards. In addition to local non-profit campaign efforts including churches and church related institutions, Jim has worked in various regional and national fundraising efforts. Jim lives in Great Falls, Virginia with his wife Molly, a physician, and their three children Philip, Andrew, and Meredith.